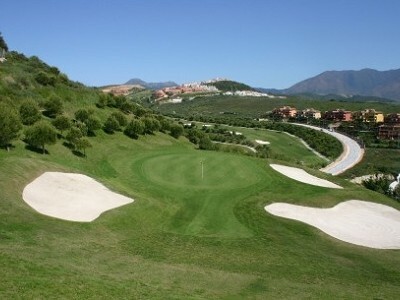 Situated in a strategic location of the Costa del Sol, “Doña Julia” is a Golf course which is perfectly integrated in a natural environment set in an area offering magnificent views of the Mediterranean Sea and the coast of North Africa. It’s an spectacular resort located in Casares, between Marbella and Sotogrande, just 45 minutes from Malaga airport and few miles from Gibraltar. The course is 18 holes par 71 (provisional) with a length of 5.976 meters and built to the standards of the United States Golf Association (USGA) in terms of tees, bunkers, drainage and greens. It was designed by renowned Malaga architect Antonio Garcia Garrido, responsible for some of the most emblematic golf courses of Spain.